James Howard “Billy” Williams went to Burma in 1920, fresh out of the service for WWI, for a position as a ‘forest man’. It was there he became increasingly educated on the intelligence, character and welfare of elephants. When Japan invaded Burma in 1942, Williams joined the elite British Force 136. [a unit that today would compared to Rangers, SEALs and Delta Force]. 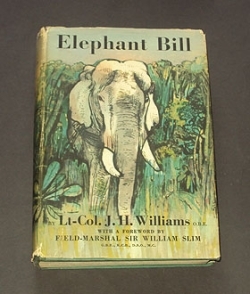 Being older and wiser in the ways of the jungles, Williams’ tale of war and daring would become legendary. 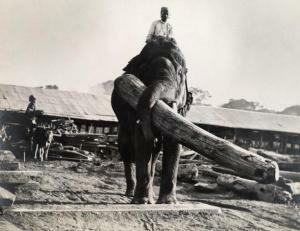 In 1944, Lt.Colonel Williams, along with his Karen workers, uzis, elephant tenders, and the animals themselves made the stairway in Burma. They go upward, a sheer rockface escarpment, narrowly escaping the Japanese hot on their trail, through the mountains of Imphal. Thank you, Penny. It truly is a remarkable story of man and animals.